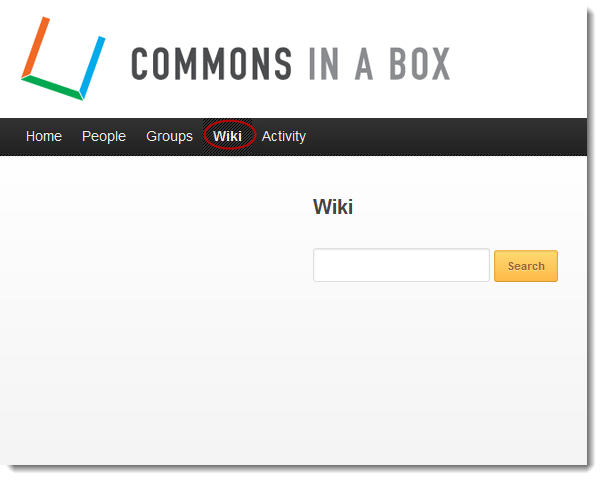 When you first install CBOX Classic and activate our default theme, the top navigation includes a number of neat options, including “Wiki.” The CBOX Classic wiki is a public space where members of your site can collaborate on documents and build a knowledge repository. Its functionality is made possible by BuddyPress Docs Wiki, a recommended plugin managed by CBOX Classic. Private wiki functionality is also available by creating groups, and using the “Docs” feature, which implements a related plugin – BuddyPress Docs. “Docs” allows very granular control on who can edit and view its pages, while the sitewide wiki is open to all. Out of the box, the sitewide Wiki page page looks a bit stark (see screenshot, above), but you can quickly dress it up. 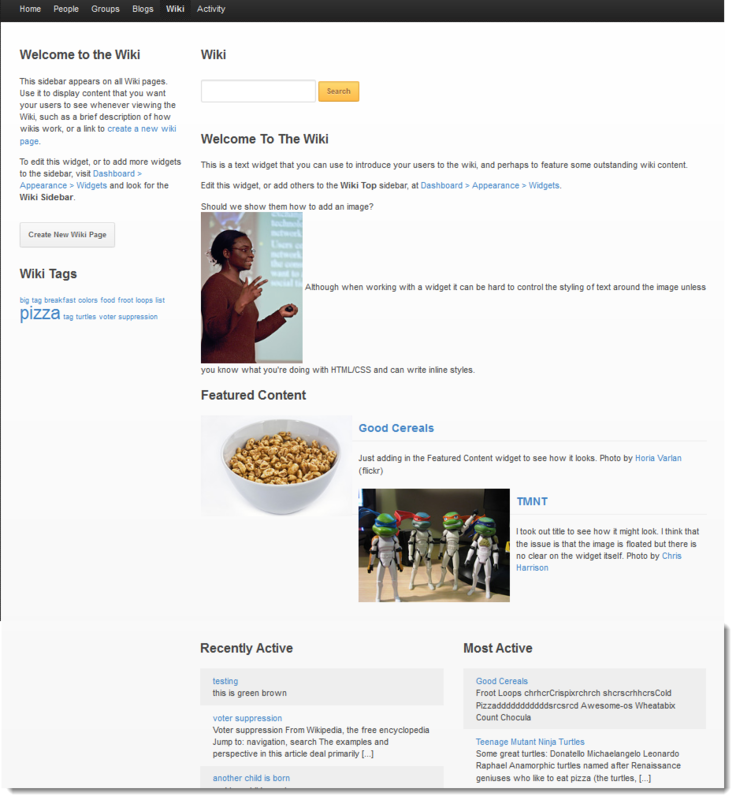 Four widgetized areas are available – Wiki Top, Wiki Sidebar, Wiki Bottom Left, and Wiki Bottom Right. These can be configured by going to Appearance>>Widgets in your dashboard. Here you can easily add some pictures, a tag cloud, a table of contents, or whatever you want using WordPress’ familiar drag and drop widget interface. The sitewide wiki is made possible by the BuddyPress Docs Wiki plugin – if you decide your site does not need a such functionality, you can simply de-select the plugin, using CBOX dashboard, and it will be deactivated. Alternatively, you can just remove the Wiki option from your custom menu. Go to Appearance>>Menu in your dashboard and remove “Wiki” from the menu options. Not using the CBOX default theme? You can still access the wiki using the following permalink: your.domain.name/wiki. You will not have access to the widgetized areas, and will need to style your page independently.